I love making my eyes pendants! 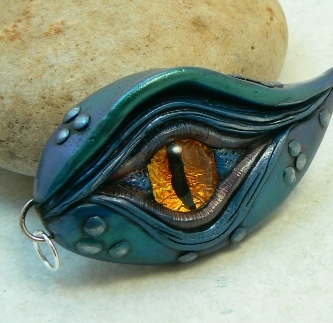 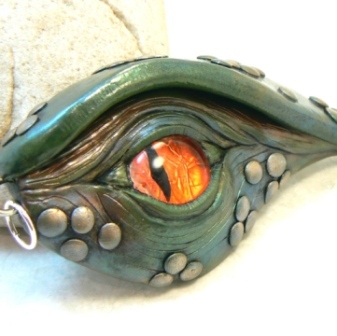 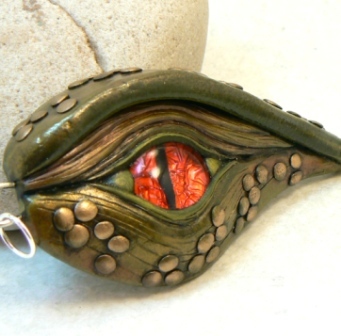 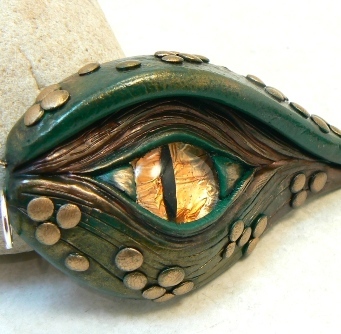 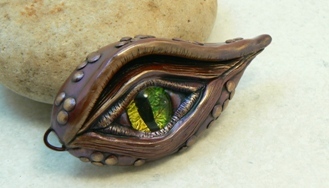 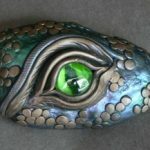 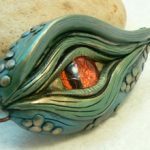 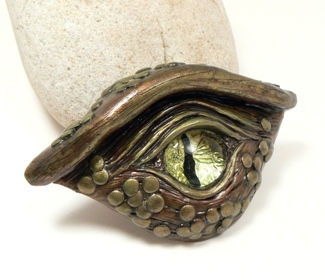 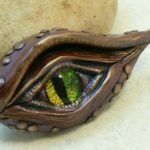 My first eye was a dragon’s eye paperweight that was totally inspired by Chris Kapono’s (Mandarin Moon) work. 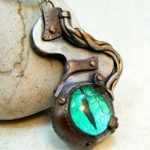 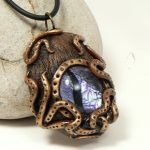 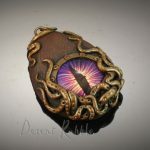 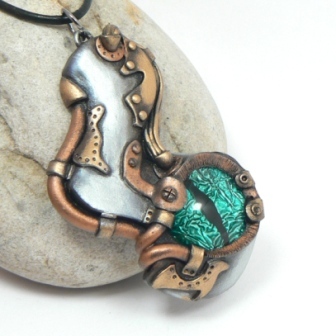 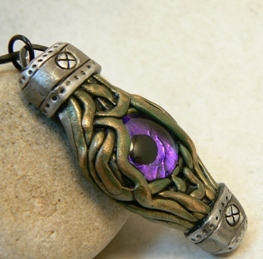 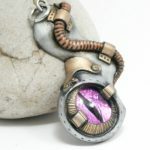 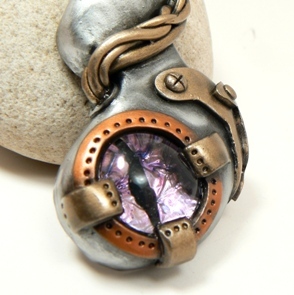 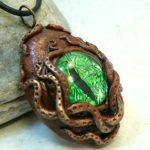 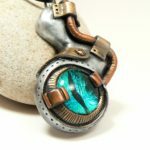 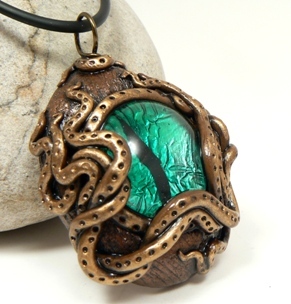 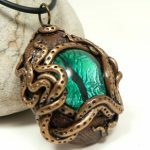 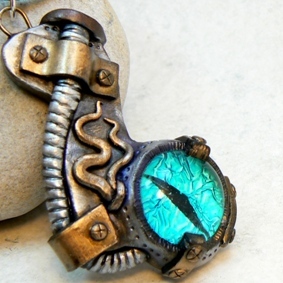 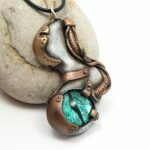 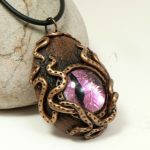 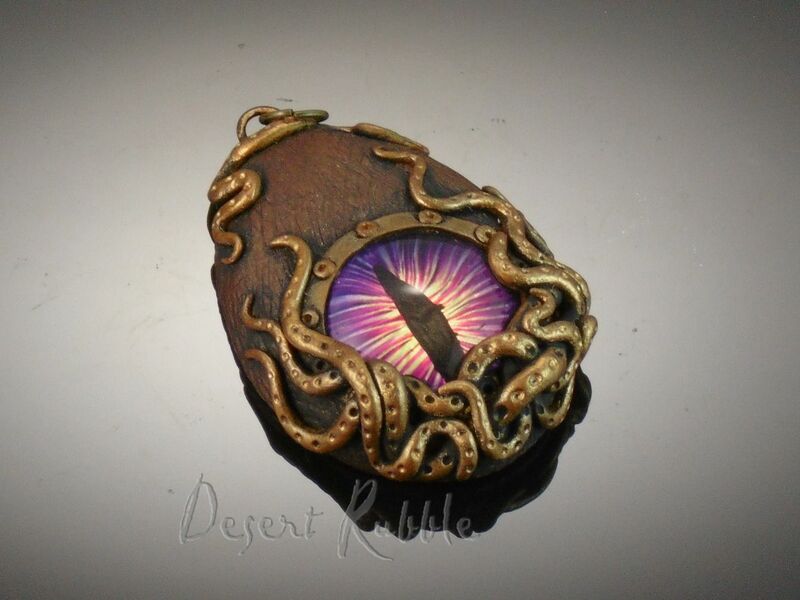 From there I went on to make dragon’s eye pendants, then a twist on it, a steampunk octopus dragon’s eye, it sounds strange, I know, but it works! It could have been straight of a Jules Verne novel, too, you’ve got to admit. 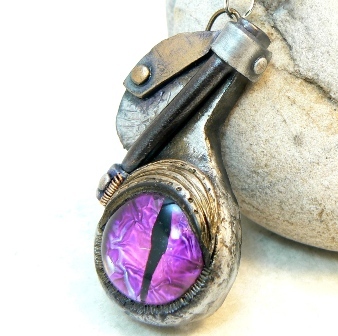 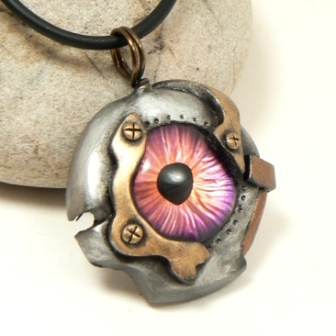 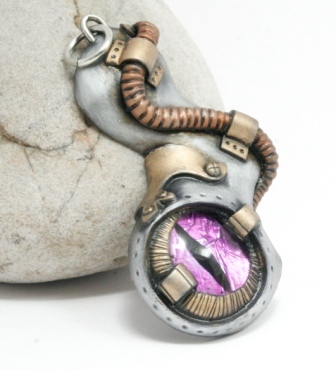 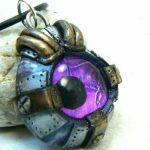 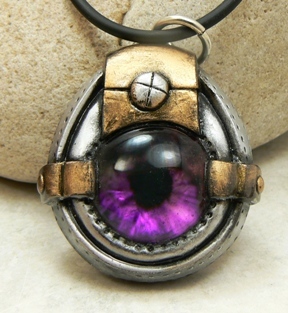 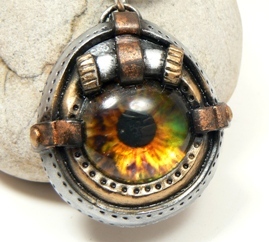 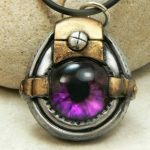 I have a genuine fondness for cyberpunk and post apocalyptic things though, so it was a natural for me to make faux mechanical eye pendants. That is something I plan on exploring more as small sculpture as well, little eyeballs with hinged arms, doesn’t that sound fun? 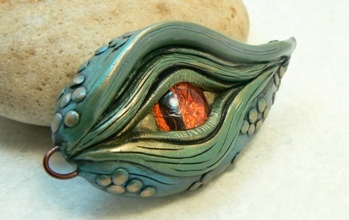 Anyways, here are my eyeballs. 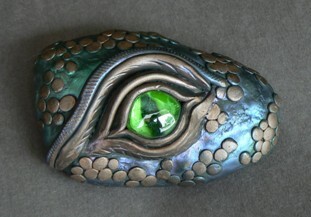 Each piece is handcrafted by me from polymer clay and I use glass gems/cabochons for the eyes. 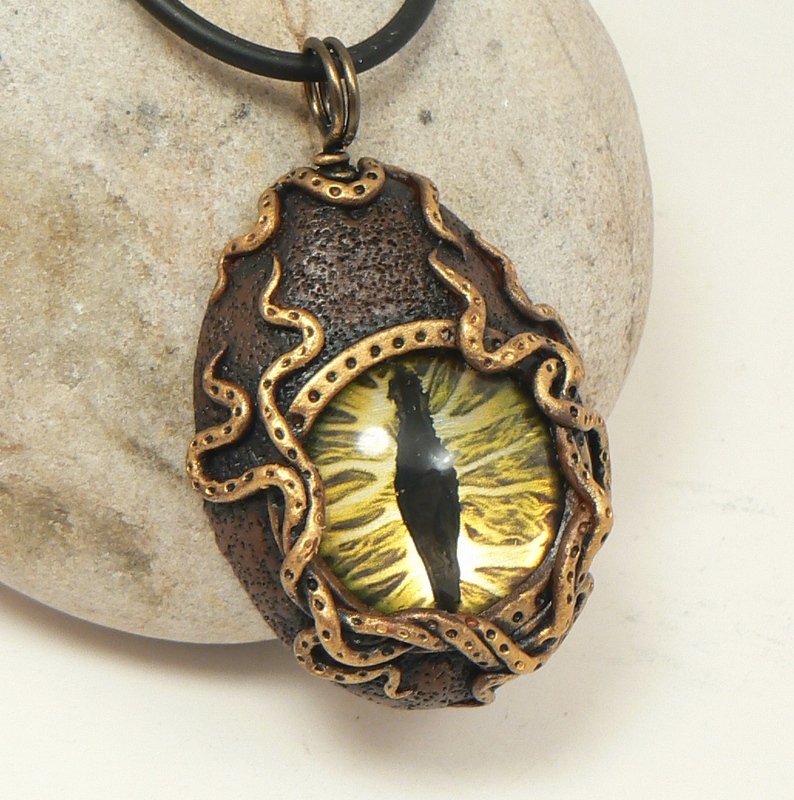 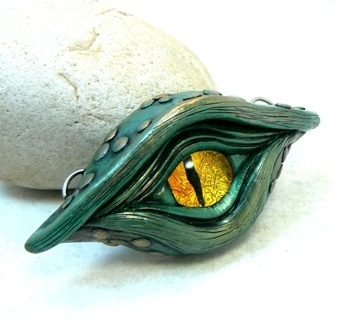 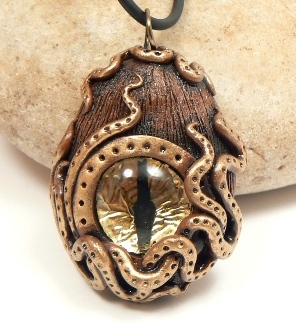 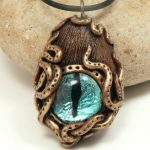 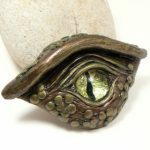 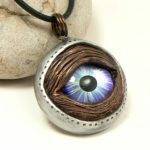 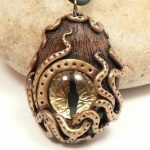 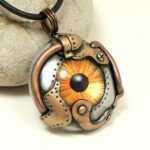 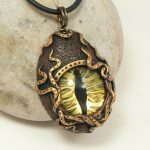 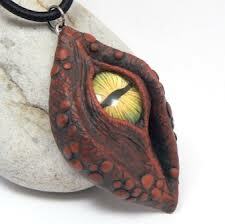 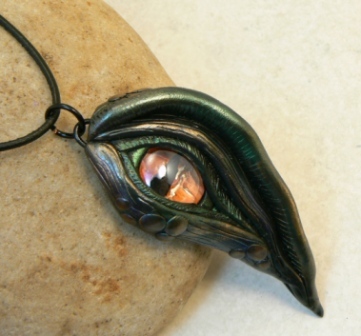 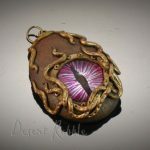 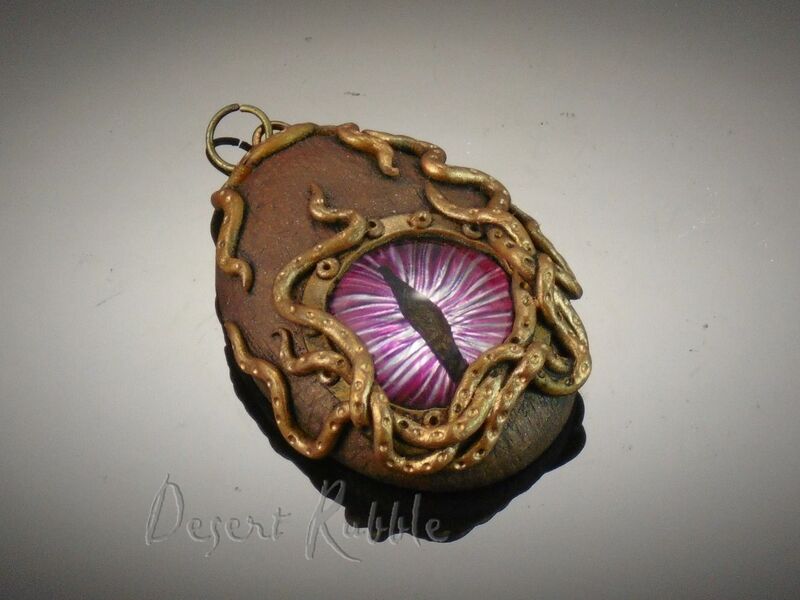 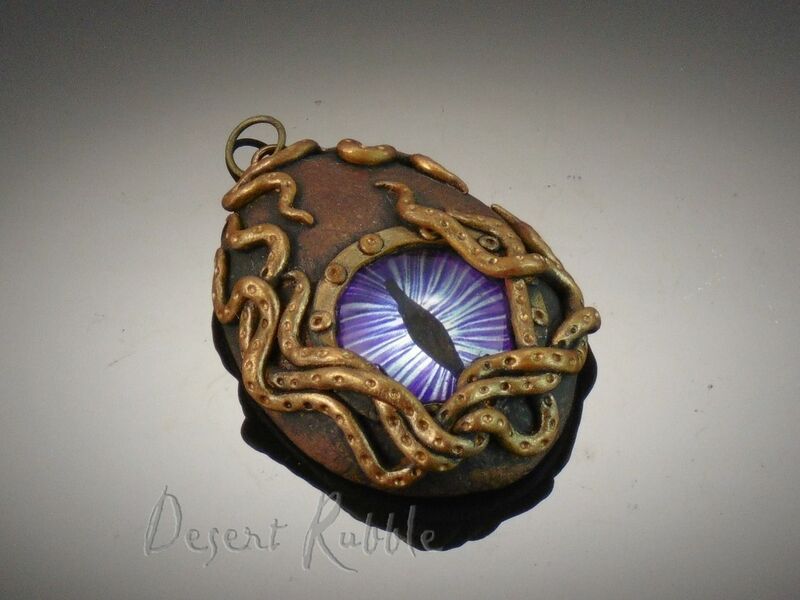 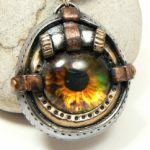 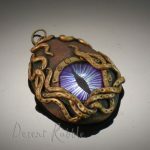 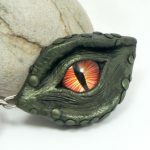 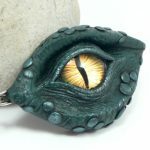 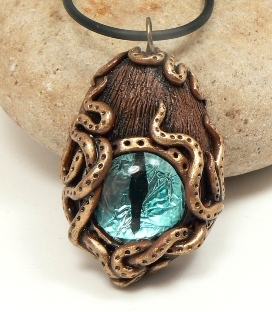 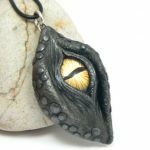 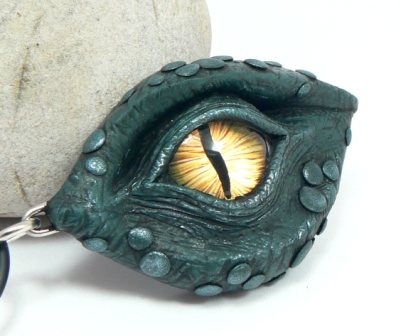 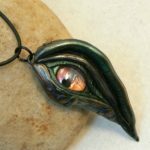 Find pendants with eyes in them in my online shop!